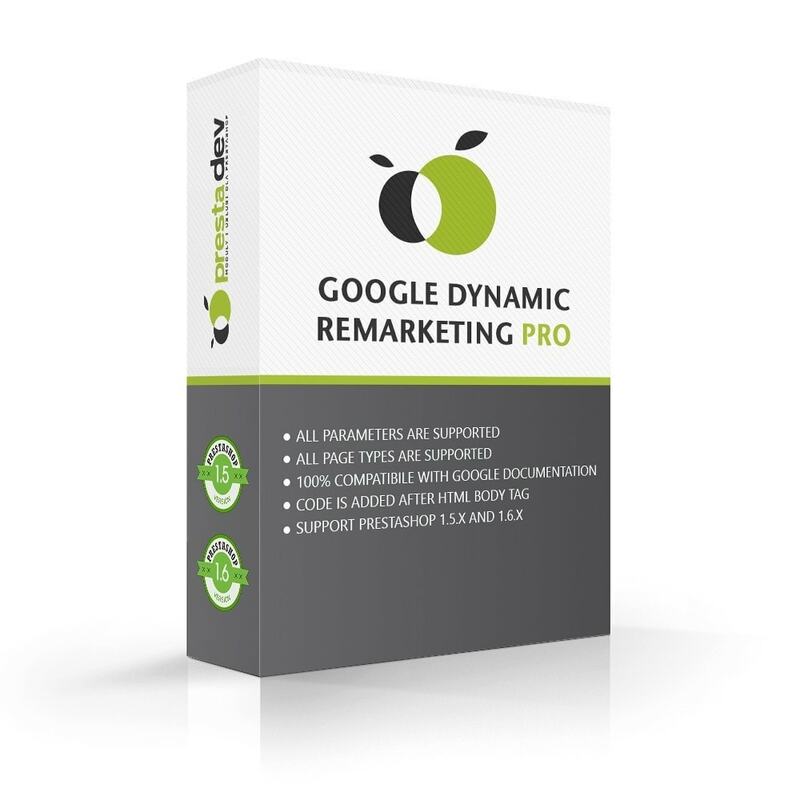 The module integrates your store with Google Dynamic Remarketing. 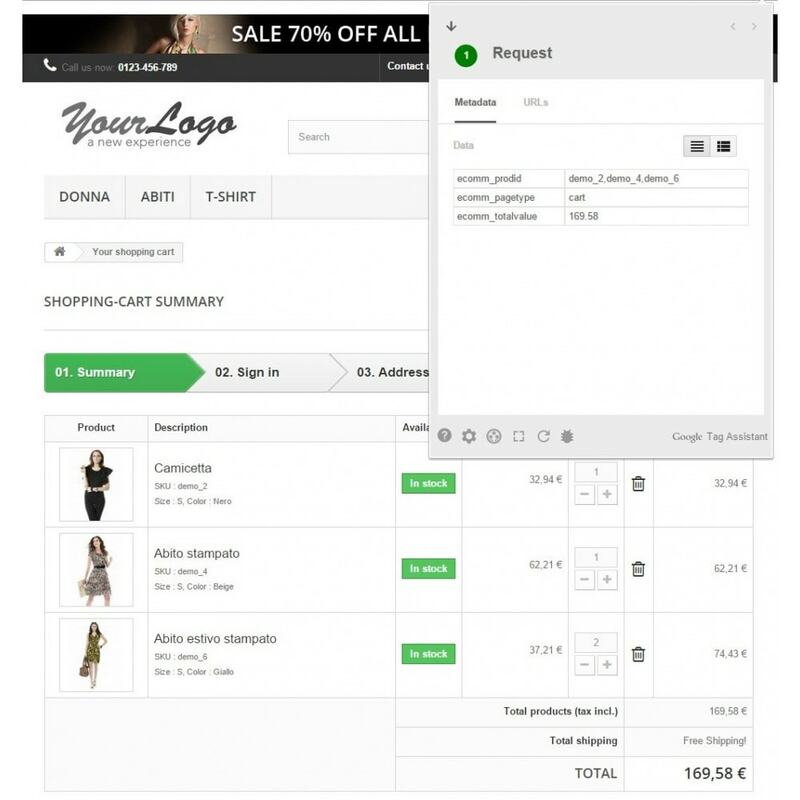 It is a full integration with all tags and page types supported, as it is writen on Google documentation. Ads that scale with your products or services: Pair your feed of products or services with dynamic ads, scaling your ads to cover your entire inventory. 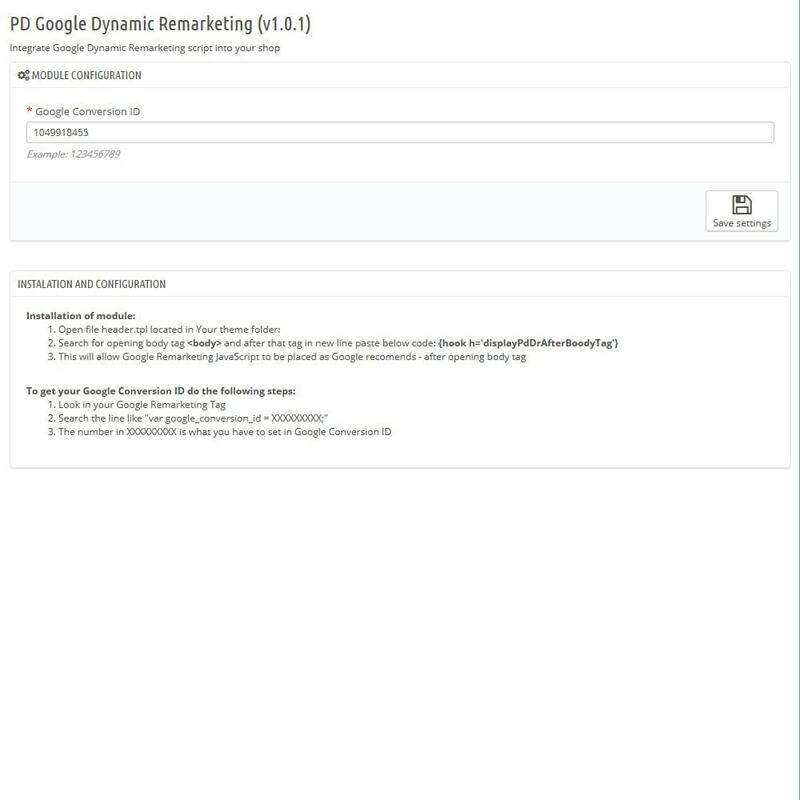 High-performance layouts: AdWords predicts which dynamic ad layout is likely to perform best for the person, placement, and platform where the ad will show. Real-time bid optimization: With enhanced CPC and conversion optimizer, AdWords calculates the optimal bid for each impression. Verfolge all deine Conversions (Verkauf) welche mit Google Adwords kreiert wurden; erhöhe deinen Verkauf und erziele eine höhere Rendite. Einfache 2-Minuten Installation (Gebrauchsanleitung inklusive). Schau dir dieses Demo Video an. This is the definitive module for collecting Facebook Pixel E-commerce actions and exporting product catalog for your Facebook Business Manager.Supports Multistore. Very useful if you want to integrate Instagram Product Tag. The module allows you to add any number of file attachments to e-mail messages that are sent to the client, ex. to order confirm or account registration, etc, the module supports PDF attachments as uploaded files or PDF generated form CMS.